The pool at Delaware Swim and Fitness Center. Look, if a group of consenting adults want to have a naked pool party, that's none of our business. So, although I understand the gossipy intrigue in Delaware state Rep. Mike Ramone and his business hosting such events, I certainly don't understand why they had to be canceled. It all started with a post on the blog Exceptional Delaware. 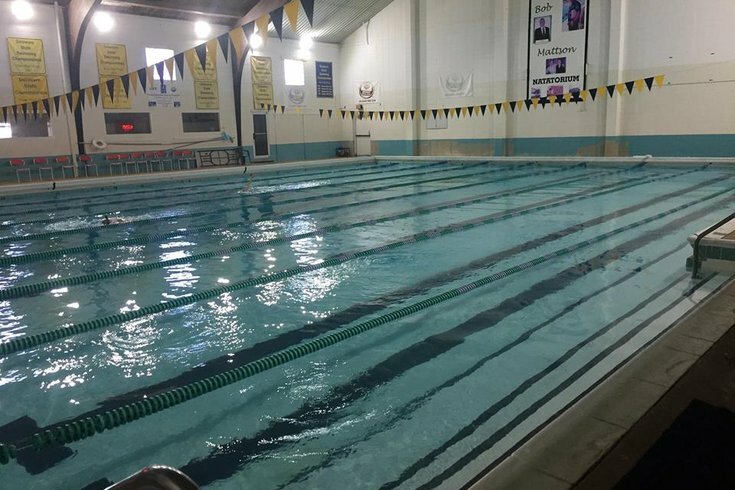 The site revealed that the Delaware Swim & Fitness Club in New Castle hosts a "Delaware Spa Party" each month. According to a since-deleted description on the party's website, the event was for couples and singles alike. And, yes, it was a "nudist/naturalist" shindig. The event had a list of etiquette rules: be respectful of the club as a host, don't drink too much, be kind to everyone no matter their body shape or size, always shower before entering the pool, etc. What goes on at these nudist parties? When I think of Mike Ramone I think of him handing out lollipops to kids at Legislative Hall! Certainly not someone who allows parties like this at his place of business. But we all have to pay the bills! I have no idea if Ramone attends these parties or if his role is just that of someone who said okay to this type of activity. For some reason, recent parties have been no alcohol allowed. I wonder if something happened to cause this rule? "I do own fitness centers, yes, and we do rent our facilities to other events after the facilities close and we have for the past 25 years rented our facility to an organization that I believe started in New Jersey and they asked if they could rent our building and we said yes, not knowing exactly what the event was, but then we found it was something called 'Naturally Yours,' a naturist group," explained Rep. Ramone. "We rent to proms, for parties, and teenage parties in the summer, we have swimming pool. I've always tried to be very kind and open to everyone." The events, which have been held at Ramone's club for 25 years, have since been suspended, according to the party's website. Ramone went on to explain to the station that the decision to cancel was the organizer's. Apparently, Ramone told the organizers he had concerns that the party may have violated the original agreement between the nudists and the club. He stressed, however, that there had never been "a point of escalation that there was ever an issue where we had to have police for a complaint of sexual misconduct,""
"They have very strict rules in that kind of world because when you have no clothes on the boundaries are different and sometimes, with the way everyone sues everyone, they make it very clear what's acceptable and what's not acceptable. People dance together, it's a party and it's not a roman event where they have orgies and all the craziness, that's ridiculous. It's an event where people are nudists, or naturalists is what they're called, and they basically dance and have fun and swim and do what you do at a party." Now, it's likely we'll never know what the details of the potential agreement violation between Ramone and the nudists. Here's what we do know: Mike Ramone owns a business, which he rents out to groups who want to use it. One of those groups likes to be naked. They had rules in place to try and prevent inappropriate behavior. They weren't just dropping their drawers during an open swim — it was a private event for which people had to agree to attend. According to Ramone, the club has never had an issue with the event — until now, that is, after its existence became public. If a group of adults want to wear their birthday suits together, and a private business is fine with them doing so at their facility, who's to say they can't? Kudos to Ramone for at least defending the nudists' right to gather. Shame, however, on anyone who believes this is somehow a stain on his record as a lawmaker. If anything, the nudist party is a celebration of freedom — both physically and symbolically.